In January of 2003, the Museum&apos;s Buffalo arrived by road from Greenville, NC. The aircraft was donated by DAC Aviation International. 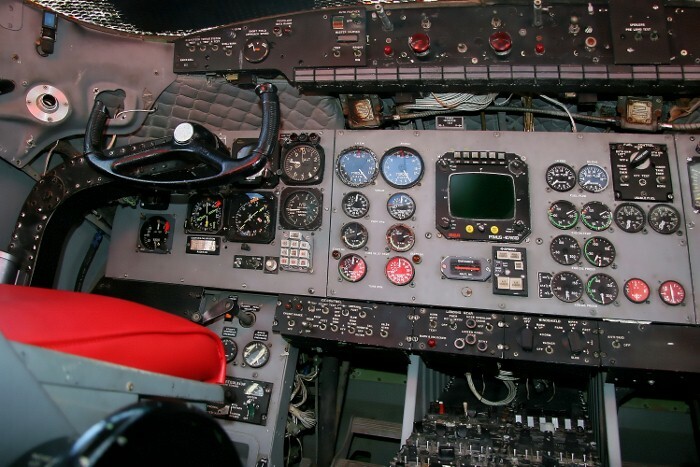 Restored cockpit of Buffalo #115461. Restored interior fuselage of Buffalo #115461. The Museum&apos;s Buffalo was dedicated in August 2009 to the thousands of Canadian military personnel who have served as UN Peace Keepers. 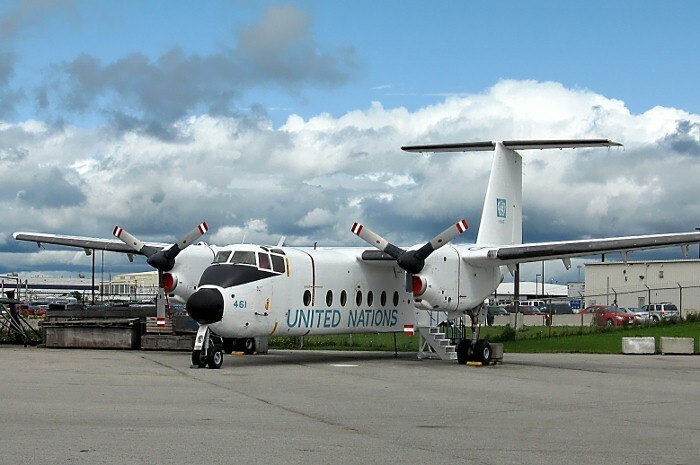 The original Canadian Armed Forces Buffalo #115461 was flying under United Nations colours in the Middle East on August 9, 1974, when it was shot down over Syria killing all nine Canadian servicemen on board - the largest loss of Canadian lives on a UN mission. De Havilland Canada designed the DHC-5 Buffalo as a more sophisticated version of the DHC-4 Caribou STOL military transport, starting in 1961. In March 1963, the US Army awarded de Havilland a contract for four aircraft (CV-7A), each capable of lifting a payload of 12,000 lbs. 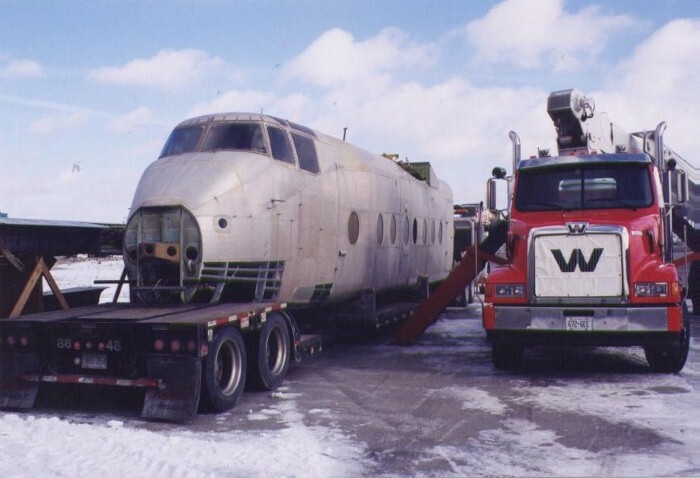 Development proceeded quickly and the first DHC-5 flew from Downsview in December 1964. By September 1965, the four Buffaloes had been delivered to the US Army, but were the only ones supplied because of a policy change within the US military. 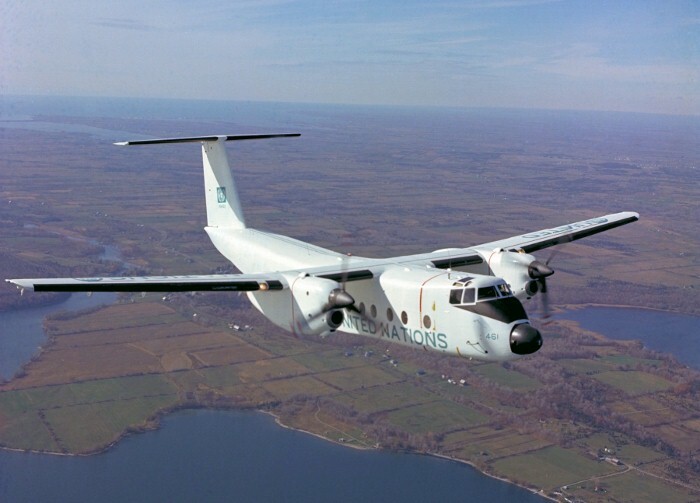 The Canadian Department of Defence ordered fifteen DHC-5s in December 1964. These aircraft, designated as CC-115s by the RCAF, had up rated engines, but were otherwise similar to the US CV-7As. The first Buffaloes entered RCAF service in Montreal in 1967 and were used for paratroop training, supply dropping and tactical tasks. Later they moved to other bases, where much of the fleet was assigned to search and rescue duties. Between 1975 and 1979, Buffaloes of No. 116 ATU were deployed to the Middle East in support of UN peace keeping missions. 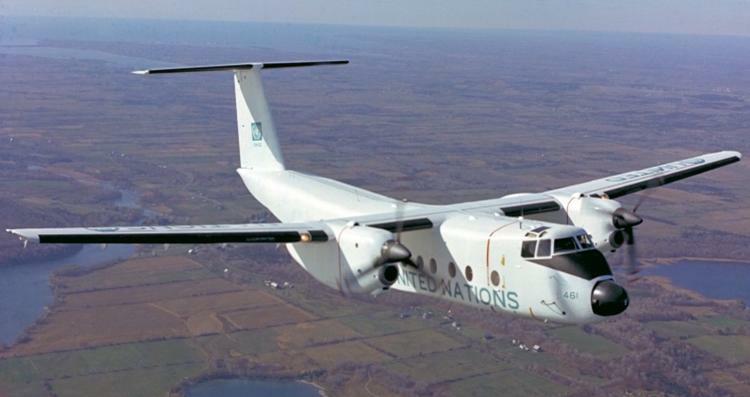 Flying under UN colours, the aircraft flew regularly between Cairo, Beirut and Damascus. 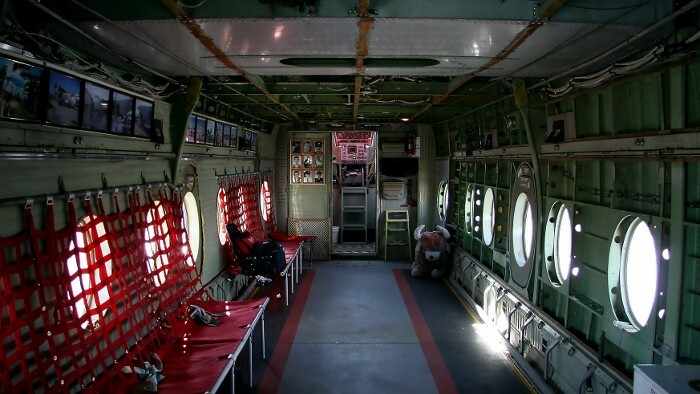 On August 9, 1974 when flying over Syria, a CAF Buffalo was shot down with the loss of all nine crew – the largest loss of Canadian lives on a UN mission. Several CC-115s remain in Canadian Forces service today as search and rescue aircraft, with No. 442 Squadron at Comox, BC. The Buffalo’s ability to operate from small rough air strips, allowing evacuation of ill or wounded personnel, is greatly prized. A total of 126 DHC-5 Buffaloes were built by de Havilland Canada from 1965 to 1986. The Museum’s de Havilland DHC-5 Buffalo was completed at Downsview, Ontario in May 1978 and was one of four aircraft built for the Sudanese Air Force. 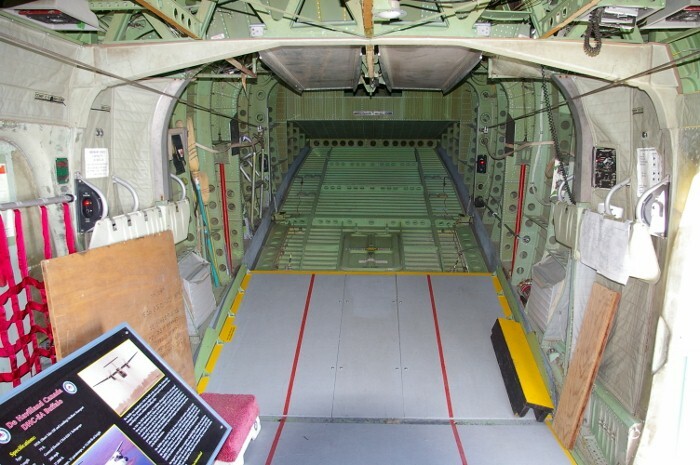 The Museum received the airframe from DAC International in January 2003. 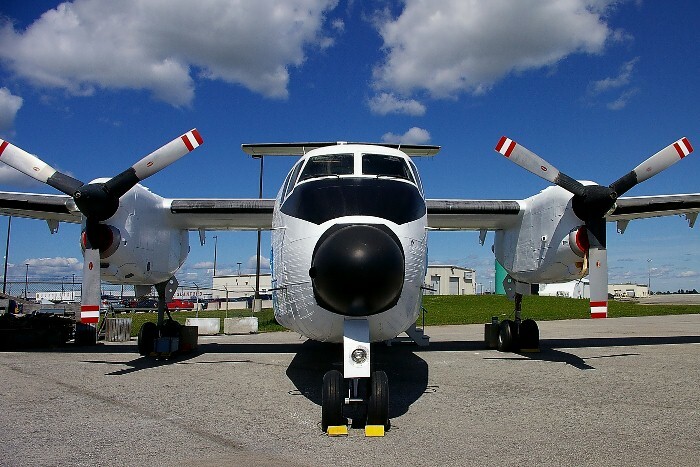 The aircraft has been restored as Canadian Armed Forces DHC-5, #115461. 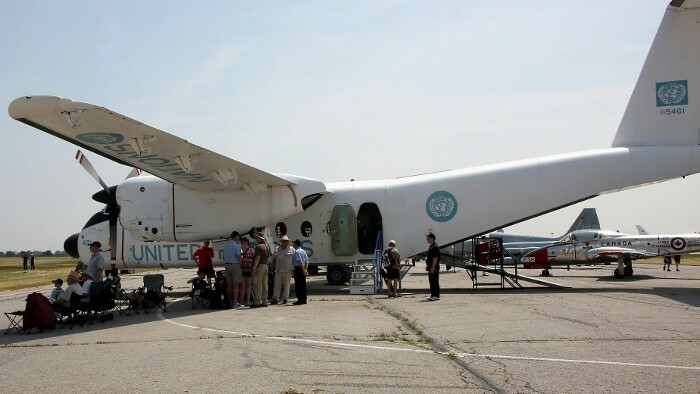 “461” was flying under United Nations colours in the Middle East on August 9, 1974, when it was shot down over Syria killing all nine Canadian servicemen on board. 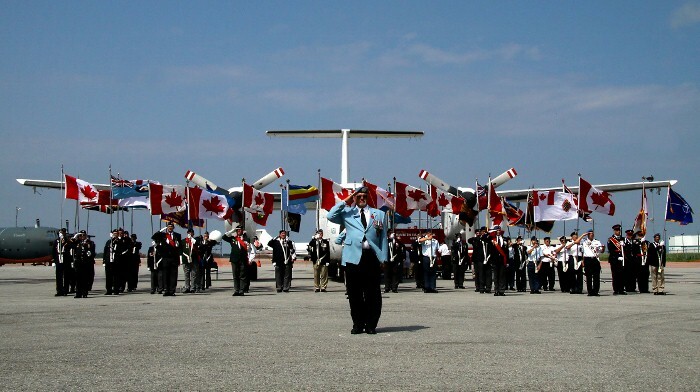 The Canadian Warplane Heritage Museum's Buffalo was dedicated in August 2009 to the thousands of Canadian military personnel who have served as UN Peace Keepers.